Zestfest Midwest 2013: Defcon Cluckwing Challenge – I Love It Spicy! 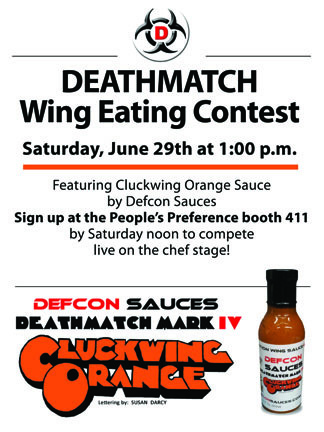 Normally Defcon Sauces hosts the Deathmatch, the fiercest chicken wing eating competition known to man. With a few tweaks/concessions for the Zestfest Midwest show and suddenly we went from chicken wings to chicken nuggets and instead of a Deathmatch sauce, they used the fiery Cluckwing Orange Sauce. By the way, one of the best chicken wing sauces ever created. Sorry the coverage at the end wasn’t more spread out to see what was really happening. Lots of controversy at the end, and my video footage does not cover the full length of the table. So we miss out on the instant replay I was hoping for. 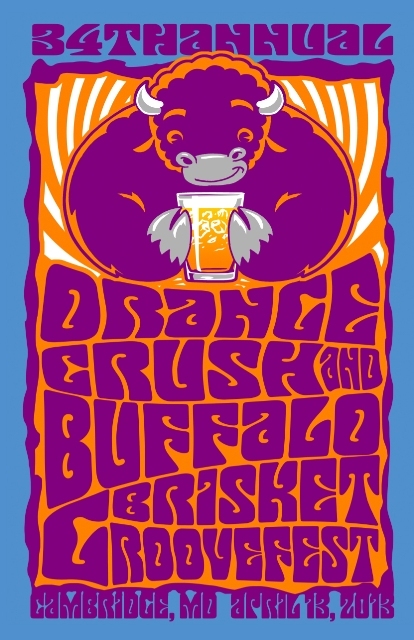 Zestfest 2013 Update – ONLY 5 BOOTHS LEFT!!! Sorry Zach. All good now.